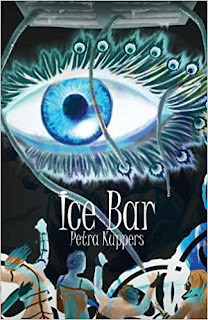 Petra Kuppers is the author of the new story collection Ice Bar. Her other books include Theatre and Disability and Studying Disability Arts and Culture. 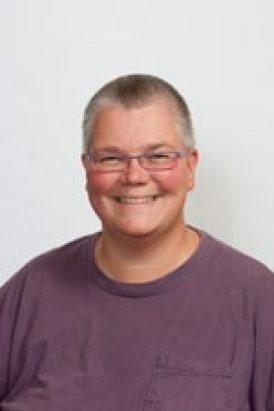 She is a professor at the University of Michigan, a disability culture activist, and a performance artist. She also teaches at Goddard College and and is artistic director of The Olimpias, an international disability performance collective. She lives in Ypsilanti, Michigan. 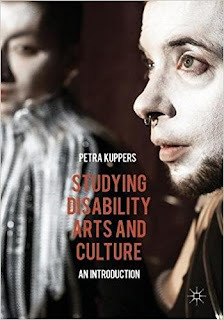 Q: You write, “This is a book of disability culture reclamation…I am applying the methods of transformation I learned in disability culture worlds to claim old ground.” How did you go about this? A: The disability culture movement uses all kinds of trickster modes to reclaim disability from tragedy and individual loss. Without disavowing bodily and mental pain, or the sadness that comes from being excluded from participation, it is possible to think of disability as an exciting difference, too, an opening into new ways of sensing and being in the world. That’s what I am looking for: protagonists or core narrative figures that live with differences, on thresholds, in precarious situations. Sometimes, the stories specifically highlight disability as that difference, sometimes it is gender, class, race, body size, or immigration status. Why are some people targeted for violence? Why are some people shut away from society? What do these people get up to, how do they survive? What beautiful moments of tenderness and connection can bloom in these niches of individual and communal survival? Where do you find companionship – with fellow humans, animals, spirits? These are the kinds of questions that drive my stories. Q: Why did you choose Ice Bar (the title of the first story in the collection) as the book’s overall title? What does it signify for you? A: I didn’t really know for a long time what the title of my collection would be. I had played with images of water, and with asylum titles. Then I listened to the podcast version of my Ice Bar story, which was published on PodCastle, a fantasy podcast series, in March 2017. The person who introduced my story, Bogi Takács, opened up the story in a new way to me – I felt so understood as they talked about Ice Bar as the survival of the freaks, the places where those who are outcast can go and celebrate, and how important it is to have party places in hard times. So that became for me a frame for the whole collection: places where the freaks can go and party, can share stories, can be intimate and meditative, can be with one another. Surprising places, weird places – like Ice Bars. Q: You also note, “Other core themes woven through these stories are women, water, and power.” Why did you choose these themes? A: In the time I wrote the stories of Ice Bar, I was on the road a lot as a community performance artist, working with fellow disabled people by going swimming together, exploring issues of access, historical exclusions (of black people, trans people, disabled people), of immigration and renewal. This was the Salamander Project, where groups of us would go underwater together, holding our breath while we handed around a camera and photographed ourselves in these edge spaces of life and death, breath and intimacy. And so, as a result, water as connection and danger creates waves throughout my stories. 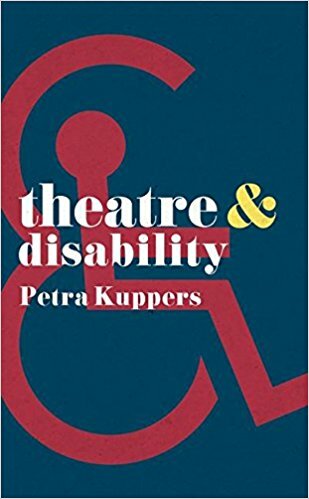 During the writing time, I also trained as an aqua fitness instructor, collecting life stories of fellow disabled women in these classes, as that’s a form of sport that is relatively open to disabled people. Finally, it was the time of the water protectors, brave women and men who stand up against pipelines, ensuring access to clean water, engaging in indigenous caretaking. While trying to avoid appropriating indigenous stories, that struggle also became part of the weft that supports Ice Bar. Q: The book is divided into three sections, Steam, Crystals, and Wave. Why did you divide it this way, and how did you choose which stories would appear in which section? A: Steam, Crystals and Waves are all potential forms of water, and that felt to me like a beautiful way to organize my stories (if a bit nebulous, too). Crystals are mainly short stories, sharp little things. They rely on a particular feature: the memory crystal, a moment frozen in time and glittering, reflecting backward and forward. The steam stories set up pressure: the asylum as a pressure site, the party place as an edge space, the pressures of failing infrastructures, the emergence of new support structures. And the wave stories take to the seas, and encounter strange dragons and other creatures, like trolls, dolphins, sharks and really nebulous Cthulhu-like things. A: I am working on a novel right now. It has a wheelchair using woman protagonist who gets drawn to a water creature (not a thousand miles from Guillermo del Toro’s beautiful The Shape of Water, but a lot more deadly to the wider world). Her lover, Roberta, has to find a way to get her back, and, while doing so, process her own personal connections to Taiji, a Japanese shark slaughter village. It’s a dystopic world, but like in Ice Bar, the freaks (try to) find one another. A: My speculative poetry chapbook, Green Orion Woman, is coming out with Dancing Girl Press right about now: many of Ice Bar’s themes are in there, too, processed through the sarcastic voice of an alien observing post-Trump-election scenes.